Tomorrow is OSCE day. 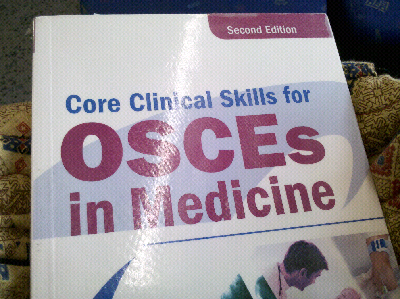 I know now that OSCE stands for Objective Structured Clinical Examination. The thing is when I hear OSCE, it could just as well be "åske/åska". Åska is Swedish for thunder (or thunderstorm). That gets me thinking things should go fast, fast, fast --- lightning speed! And when you screw up, that's when the ominous thunderclap comes in. Do you get where I'm going with this? I think I need to relax and breathe...and sleep, sleep would be good.